More specifically, a San Fan Rebellion issue. 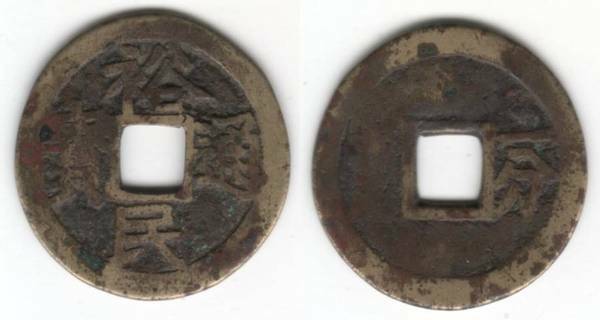 "Yi fen" meaning a value equivalent of one fen of silver (10 Cash). Issuer a.k.a. 'Keng Ching-chung'. FD2166, S1353.